Come join us at the Palace of Legion of Honor, Lincoln Park, March 13 through 17, for an annual fundraising event featuring some of the best designers in Northern California. Whether your business is a restaurant, advertising agency, law firm or hotel; if you receive customers at your location, first impressions mean a lot. With out a doubt, nothing is more welcoming to the soul than a beautifully crafted floral decoration to greet your customers as they enter your local. 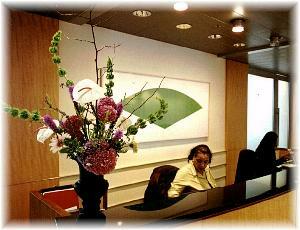 At Ruth Marks Designs our weekly customers depend on our attention to detail and cost effective service. 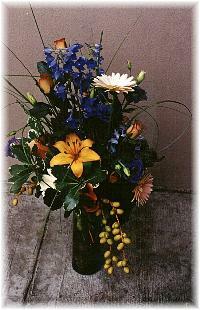 Your weekly floral creation, designed to your specific requirements will be fresh, vibrant and long lasting. Our designs are created to open gradually and graciously as the week progresses. If you would like to create an unforgettable welcome for your clients and visitors, let us come in, take a look at your space, and create a customized design that reinforces your company’s intended impressions. F rom I love you to welcome to the team or simply happy birthday, flowers, plants and giftbaskets can always make a great impression and an even better gift. A dozen roses says I love you. A green plant can be a gift of longevity and good health. 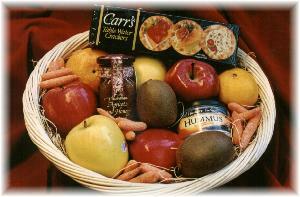 A gourmet basket can be a gift that feeds the soul. You've set the date, chosen the venue. The bridesmaids are excited and you've found the perfect dress. 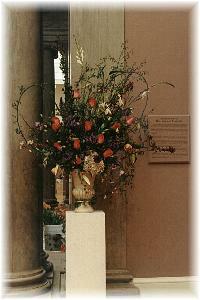 Now you want a florist who listens to you describe the bouquet that, for now, only you can see. You want someone who will look at those drawings you've made or listen to your enthusiastic description and immediately understand the image you want. Our unique combination of Flemish, Millefiori and Ichibana styles makes possible that memorable, romantic ambience you envision. Talk to us about your favorite flowers, about your dress. We'll be as excited as you are — and we'll create floral beauty for an occasion to remember forever. We know your flowers are an important part of your wedding celebration. They will appear in the photos and videos that tell the story of your union for generations to come. Let us into your imagination and we can make it happen. When you choose Ruth Marks Designs you can be confident. 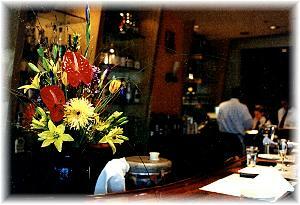 Our staff has a long and reputable history in the floral industry. Our floral creations have been showcased in Bay Area Weddingpages and at the annual Bouquets to Art show at the Palace of the Legion of Honour. Please have a look at some of our bridal bouquets. &COPY; 2008 Ruth Marks Designs All rights reserved.